There are two main parties in a lease agreement, and every finance professionalFP&A AnalystBecome an FP&A Analyst at a corporation. We outline the salary, skills, personality, and training you need for FP&A jobs and a successful finance career. FP&A analysts, managers, and directors are responsible for providing executives with the analysis, information they need to make operational, strategic decisions needs to know how to differentiate between the lessor vs lessee. A leaseLease ClassificationsLease classifications include operating leases and capital leases. A lease is a type of transaction undertaken by a company to have the right to use an asset. In a lease, the company will pay the other party an agreed upon sum of money, not unlike rent, in exchange for the ability to use the asset. is a contractual arrangement where one party called the lessor provides an assetTypes of AssetsCommon types of assets include: current, non-current, physical, intangible, operating and non-operating. Correctly identifying and classifying the types of assets is critical to the survival of a company, specifically its solvency and risk. An asset is a resource controlled by a company which future economic benefit for use by the other party, referred to as lessee, based on periodic payments for an agreed period. The lessee pays for the usage of the asset or property, while the lessor receives payments from the lessor for the usage of the asset or property. Leasing an asset is often a more economical option than purchasing the actual asset because leasing is comparable to renting the asset for a specific period. The lessee pays a cost that is lower than the cost of purchasing the asset. The arrangement between these two parties is entered into a lease agreementEquipment Lease AgreementEquipment lease agreement is a contractual agreement where the lessor, who is the owner of the equipment, allows the lessee to use the equipment for a specified period in exchange for periodic payments. The subject of the lease maybe vehicles, factory machine or any other equipment. Once the lessor and lessee agree, which is a contractual document signed by both parties. The lessor is the legal owner of the asset or property, and he gives the lessee the right to use or occupy the asset or property for a specific period. 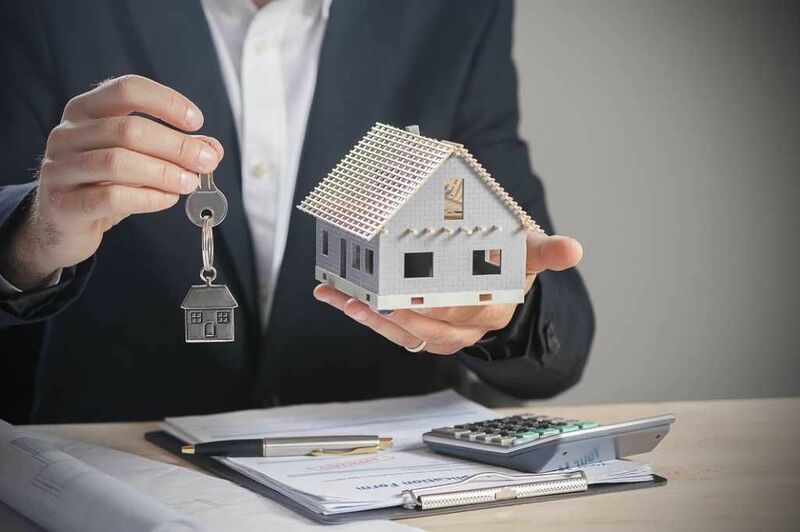 During the contract, the lessor retains the right of ownership of the property and is entitled to receive periodic payments from the lessee based on their initial agreement. He must also be compensated for any losses incurred during the contract due to damage or misuse of the asset in question. If the asset is sold, the lessor must authorize such a transaction and is entitled to receive any financial gains resulting from the sale. Although the lessor retains ownership of the asset, he enjoys reduced rights to the assets in the course of the agreement. One of these limitations is that the owner, given his limited access to the asset, may only gain entry with the permission of the lessee. He must inform the lessee of any maintenance to be done on the asset or property prior to the actual time of the visit. However, if the lessee causes damage to the asset, or uses the asset to commit illegal activities, then the lessor reserves the right to evict them without notice. On the expiry of the contract period and depending on the condition of the asset, the asset or property will be returned to the lessor, or to the lessee if the latter decides to purchase the asset. The lessee is the party who gets the right to use an asset for a specific period and pays periodic payments to the lessor based on their initial agreement. The contents of the agreement are contained in the lease agreement that is signed by both parties. The length of the lease period depends on the type of asset or property. For example, the lease of land to set up a manufacturing plant may be for a longer period than the lease of equipment or a vehicle. In the duration of the lease period, the lessee is responsible for taking care of the asset and conducting regular maintenance in case the subject of the lease is equipment or machinery. If the subject of the lease is an apartment, the lessee must not carry out any structural changes without the permission of the lessor. Any damages on the property must be repaired before the expiry of the contract. If the lessee fails to repair or replace any broken fixtures, the lessor has the right to charge the amount of the repairs to the lessee as per the lease agreement. The lease agreement is a contract between the lessor vs lessee for the use of the asset or property. It outlines the terms of the contract and sets the obligations of the court of law associated with the use of the asset. Both parties are signatories to the agreement and are required to abide by its rules. If either of the parties contravenes the conditions of the lease agreement, the contract can be terminated. For example, if the lessee conducts illegal activities on the premises of the lessor, the latter holds the right to cancel the contract and evict the lessee from the property. Most lease agreements include the option of buying the leased asset or property, or the lessee taking over the ownership at the end of the lease period. Capital lease,Capital Lease vs Operating LeaseThe difference between a capital lease vs operating lease is a relatively advanced concept and is unlikely to come up in entry-level finance interviews. However, it is useful to understand the difference between the two types of leases and their respective accounting treatment. Capital leases are counted as debt. They also referred to as finance lease, is a lease in which the lessee acquires full control of the asset and is responsible for all maintenance and other costs associated with the asset. GAAP requires that this type of lease agreement be recorded on the lessee’s balance sheet as an asset with a corresponding liability. Any interest and principal payments are recorded separately in the income statement. The lessee assumes both risks and benefits of the ownership of the asset. A capital lease is a long-term lease that spans most of the asset’s useful life. Operating lease is a type of lease where the lessor retains all the benefits and responsibilities associated with the asset. The lessor is in charge of the maintenance and other operating expenses. The lessee uses the asset or equipment for a fixed portion of the asset’s life and does not bear the cost of maintenance. Unlike in a capital lease agreement, the lessee does not record the asset in the balance sheet in an operating lease agreement. A sale and leaseback is a type of agreement where one party purchases an asset or property from another party, and immediately leases it to the selling party. The seller becomes the lessee, and the company that purchases the asset becomes the lessor. This type of agreement is implemented based on the understanding that the seller will immediately lease back the asset from the buyer, subject to an agreed payment rate and period of payment. The buyer in this type of transaction may be a leasing company, finance company, insurance company, individual investor, or institutional investor. Prepaid LeasePrepaid LeasePrepaid lease is used in structuring tangible assets in such a way that the buyer has the option as to whether to purchase the asset after the lease term. The structure typically includes the prepayment of a lease for use of assets over the long term.